WASHINGTON (CNS) — A priest in the Bronx, New York, tended to grieving families and asked for prayers for them as well as for victims of a Dec. 28 fire, one of the deadliest in New York City and the borough’s history, which left at least 12 dead and many fighting for their lives. Father Jonathan Morris, pastor at Our Lady of Mt. Carmel Church in the Bronx, spent hours following the fire consoling families at hospitals as they grappled with the injury, loss or uncertainty of what would happen to their loved ones. “I was doing what any pastor would do,” said Father Morris in a Dec. 29 telephone interview with Catholic News Service. Some families in the apartment building are part of the parish so he rushed to the location “as soon as I could get there,” he said. The apartment building at 2363 Prospect Ave., is about half a mile from Our Lady of Mt. Carmel Church in the Bronx, the northernmost borough in New York City. “I accompanied these families . . . trying to be with them through this,” he said. It’s unclear how many of the fatalities and injuries involve parishioners. Many names have not been made public. Authorities said on Dec. 29 that the fire was caused by a child playing with the burners of a stove. 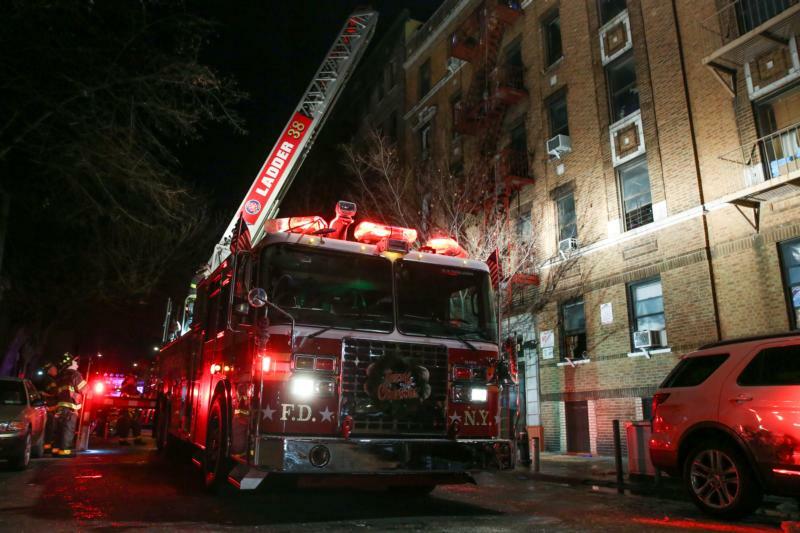 “This will rank as one of the worst losses of life to a fire in many, many years,” said New York City Mayor Bill de Blasio. The dead, so far, include four children.